...but the particular sight looked extremely Japanese to me. 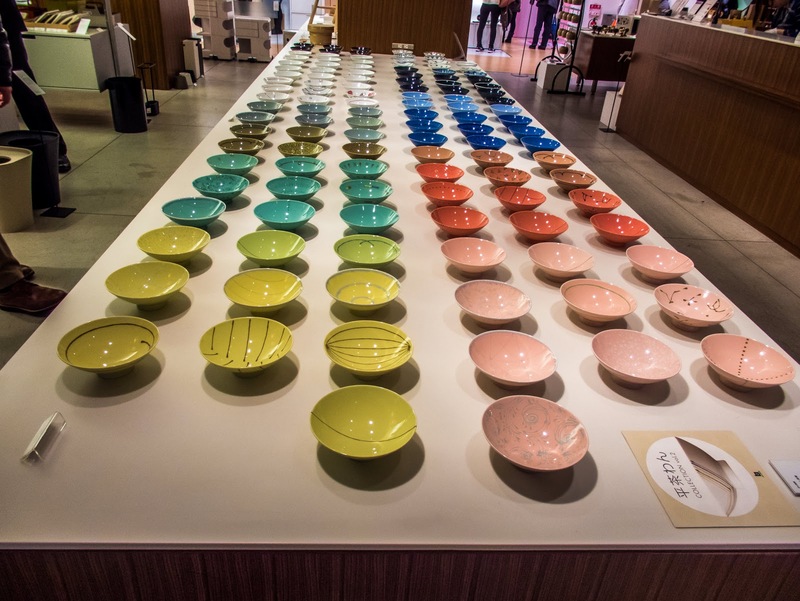 Of course it is extremely Japanese since they were designed and made by a Japanese ceramist in Japan and are sold by one of the biggest department stores in Japan (Mitsukoshi in Nihonbashi, literally the center of Japan) but you get what I mean. I think.